The extensive making-of documentary included with the newly-restored LOLA MONTES is worth the purchase price in itself. Robert Fischer has cannibalised an existing doc from 20 years back, enabling him to include interviews with lots of lovely people now no longer with us. So we get Peter Ustinov telling us that although his ringmaster character is nameless, in private Ophuls wrote to him that the fellow should be called “Von Itsu” — which is Ustinov in reverse, giving him an “aristocratic and Romanian” air. Too many good stories to reproduce here. 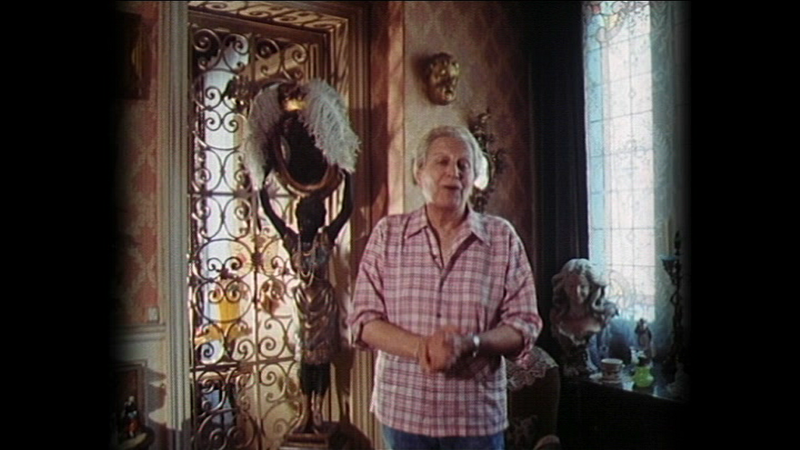 The film’s art director is pictured at home, surrounded by bric-a-brac culled from the many films he worked on. Such an Ophulsian home is really too spectacular to be populated by a man in jeans and a V-neck, don’t you think? He should at least put on some epaulettes. This entry was posted on December 15, 2010 at 12:11 pm and is filed under FILM with tags Lola Montes, Max Ophuls, Peter Ustinov. You can follow any responses to this entry through the RSS 2.0 feed. You can leave a response, or trackback from your own site. Living with an ‘aristocratic Romanian’ as I do, what can I say? Perhaps Ustinov is a bit too warm and cuddly? Lola Montesis the film that REALLY opened my mind up to what the cinema is capable. I find Ustinov cuddly in the interview, but not so much in the film. He’s a slightly sinister character, although the final revelation that he too is in love with Lola is quasi-redemptive. The Criterion Blu-ray edition is awesome. Alas, I only have the DVD, but it’s still eye-popping. Great job of restoration, and a terrific supporting documentary. TCM recently showed a very good restored version (I don’t know which it was), and for the first time I understood why the film is so highly-regarded. I still feel, though, that as happens with so many otherwise-good movies, this one is disappointing at its very end. I just don’t like that last scene. Even if they had just scrolled “The End” after the plummeting shot as she jumps from the platform, it still would have been better, in my humble opinion. Wow, I can’t figure that out at all! To me, the ending is the ultimate grace-note. It’s where we realize Ustinov is smitten with Lola, and then Ophuls ends his movie with the audience filing out (in a magnificent pull-back) — even though he didn’t know this would be his last film, what a great moment to end on! 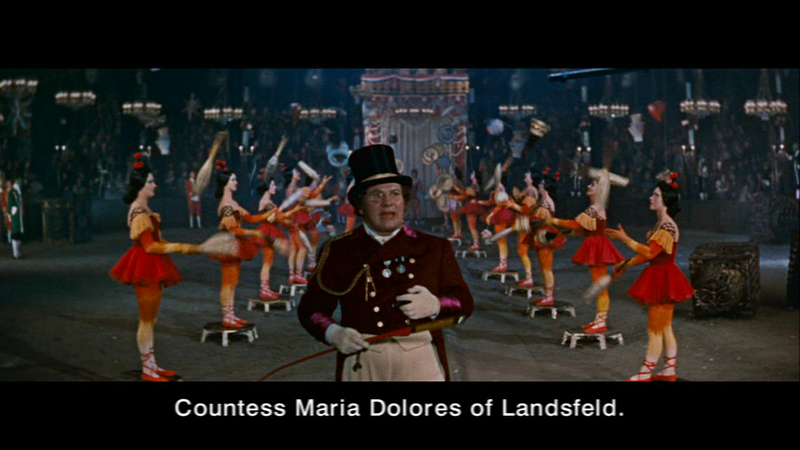 Ustinov introduced Lola Montes at the New York Film Festival in 1968 when it was shown for the second time. (It had first appeared at the NYFF in 1963.) He was greatly surprised by the full house and the enthusiasm of the audience, telling us all of the massive egg it laid at its Paris premiere in 1955. He spoke of Ophuls with overwhelming affection.